February 2012 – CREATE. PLAY. TRANSFORM. 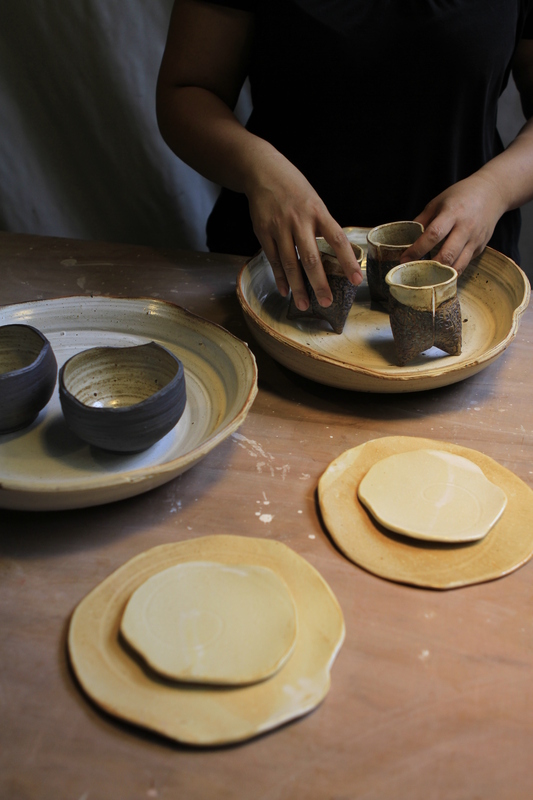 Summer Pottery Lessons In Manila! It’s the time of the year, when parents are starting, to look for summer workshops for their kids. Streets in Manila are now showing different activities that kids and adults can enjoy in the coming season. As early as now, kids, teenagers, and young adults, are wondering what they can do in the summer time. Are you looking for something new to learn this year? Maybe something that you never thought you could ever enjoy? Aside from your usual summer lessons, I’m sure you want to do something fun and different this time. When was the last time you created something between your hands? Something that you can use right in your home or give away as gifts? The work of your hands doesn’t have to be kept in a storage room. 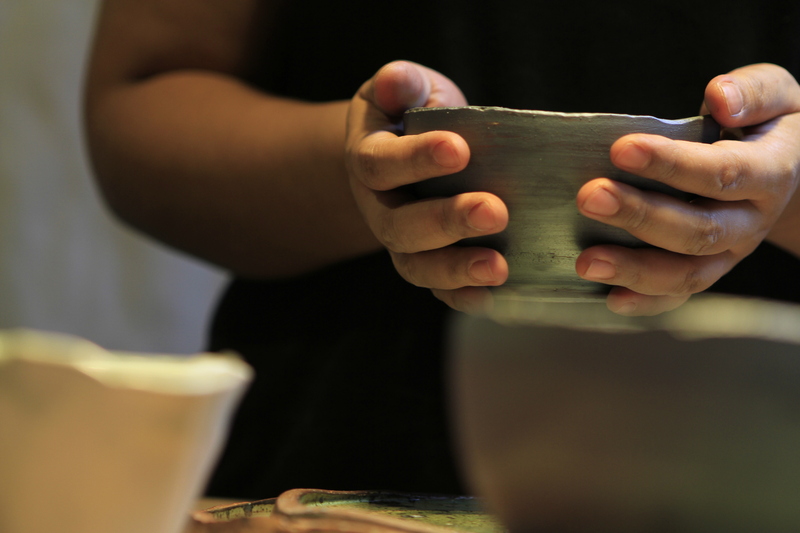 Enjoy your handmade masterpiece as you sink your fingers into wet and real clay! 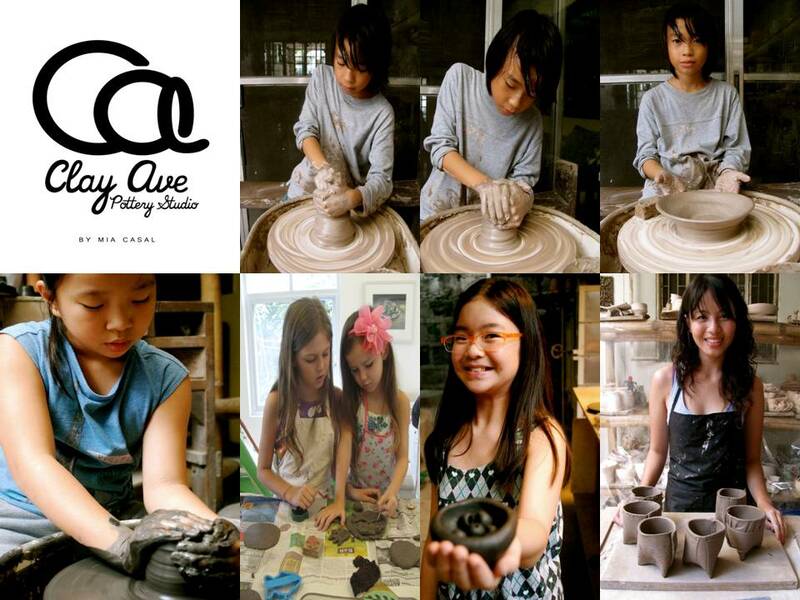 Clay Ave Pottery Studio is offering pottery lessons, to kids and adults, who want to get their hands dirty with clay! Kids ages seven year old and above can join the muddy workshop. The studio is located at 27 Riverview Drive, Blue Ridge B, Quezon City. Know more about Clay Ave and how it has been a relaxing and fun destination for old and new students. Enroll before the holy week and get a 5% discount on the lesson fee! Old and new students, see you at the pottery studio soon! Let Clay Ave be your new destination this summer. Please visit http://clayave.weebly.com to see the schedule for summer, summer program, and other details about the workshop. Send an e-mail to clay.ave@gmail.com to reserve a slot. Contact Mia at 9665168 0r 09178071978. Three years in a row, husband and wife, Jon and Tessy Pettyjohn, has invited me to join Art In The Park. 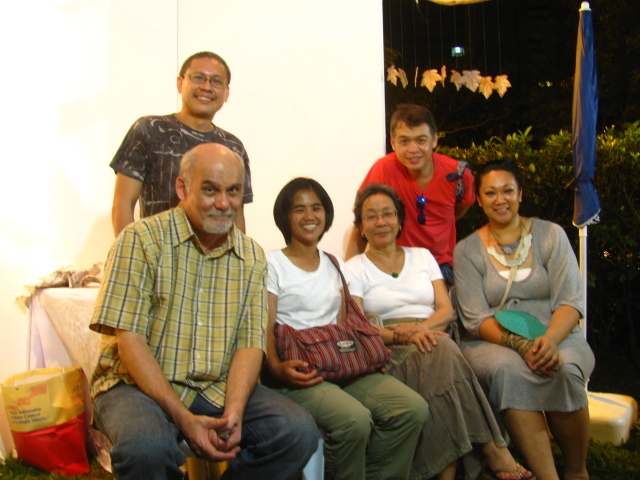 AITP is an Art event in Manila where Art schools, galleries, and other Art insititutions gather. 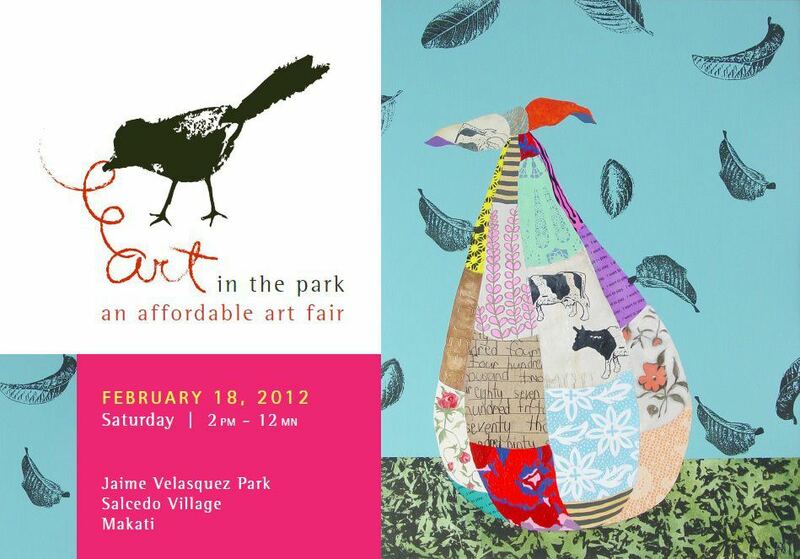 Different artists from the country bring their work to the park. Different artworks are sold: metal, wood, cramics, sculpture, paintings, upcycled furniture, photography, etc. Art collectors come to the park and make sure that they reserve the work of the artist they are following and meet new ones too. This year, eight potters from The Philippines joined the event. Three potters from Manila (Joey De Castro, Peppon Rondain, Manny and myself). One from Silang, Cavite (Cornerstone Pottery, EJ Espiritu), Two from Pansol Laguna (The Pettyjohns), and Siegrid Bangyay from Sagada. Philippine kilns were fired for this event. All hoping that our pryrometric cones will all bend and remain excited to unload the kiln the next day. The rain didn’t stop the artists from bringing works to the park last Saturday. Thankfully, all the rain poured in the morning. People started coming at 1:00pm until midnight! The park was filled with Art collectors, students, and friends, who all enjoyed going through the white tents on the park. I look forward to these kinds of events. Joining Art In The Park and arts and crafts fairs in Manila, allows me to meet people and know what they like to keep in their homes. After all, they will be the ones to keep my creations. It’s always good to see, who will bring home, the pieces I formed between my hands. 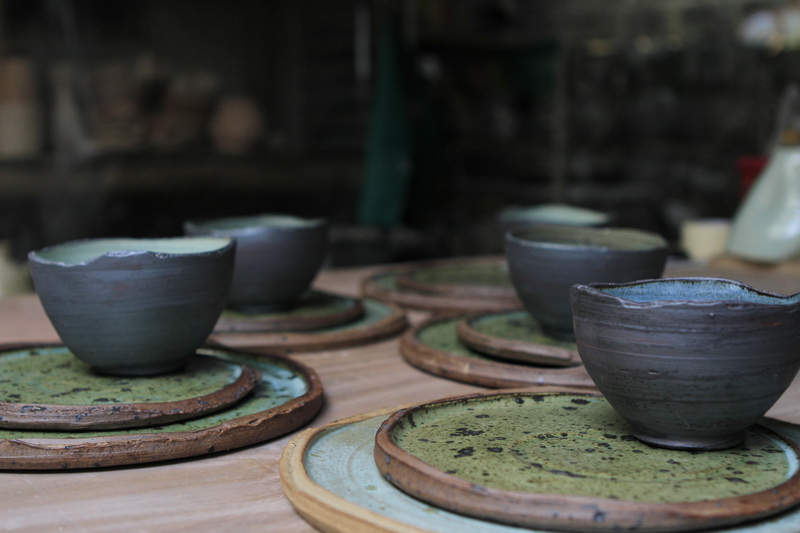 Not having my own store (yet), these events encourage me even more to keep doing what I do: teach pottery making at Clay Ave Pottery Studio in Manila and create functional pottery.